Bonus points if you can spot the Jumperoo, the TK worksheet, and the seed packets all in the background. 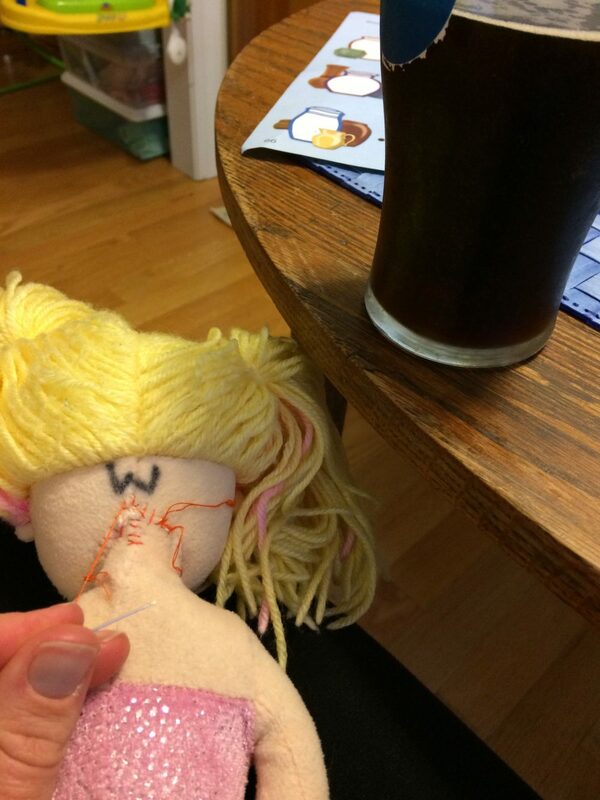 At least Mermaid’s cosmetic result won’t be adversely affected (too much) by my having a beer during the head-reattachment procedure. This entry was posted in Babies, Home Life by BrewsterMama. Bookmark the permalink.